If you are on L1 visa working in US, you would be planning to take your dependent spouse and children at some point. Sometimes, you may be single and plan to take your spouse along with you right after marriage. We will look into all these aspects like step by step process, documents checklist, letters in this article. L2 Visa Stamping – Do you need L2 Approval notice from USCIS ? You do not need any L2 Approval Notice like I-797 approval form from USCIS for L2 visa stamping. If your L1 (either L1A or L1B) spouse has approved petition and has all his/her supporting documents, that’s good enough to go for visa stamping. Most importantly, you will need to carry a letter from the L1 sponsoring company indicating that the person applying for L2 visa stamping is accompanying L1 Holder as spouse. My cousin was single and was working on L1 visa. His wife went for L2 visa stamping, right after wedding by taking supporting documents of L1 visa and wedding info, without any L2 approval notice from USCIS. She carried the letter given by the company along with all the supporting documents and it was fine with stamping. This is similar to H4 visa stamping process , where you do not need H4 approval notice. L2 Visa Stamping Process – Who can do it ? Depending on the company and your agreed terms, L2 stamping process is either helped by the company or you would have to do it on your own. Irrespective of who does it, you will need to get the Employer Letter to support L2 holder. When can you start your L2 visa stamping process ? If you are accompanying your L1 spouse, you can apply for L2 visa together with your spouse for visa stamping. But, sometimes, your spouse is already in US and you would like to join them, then you can do it anytime you would like to join your spouse. Another scenario is you are on L1 and planning to get married at later point of time, but would like to bring your spouse along with you after marriage. In such cases, you can start your visa process like filling out DS-160 and booking appointment beforehand, but make sure both the appointments are taken after your marriage, so that you have marriage certificate and other relevant documents ready. The process is pretty straightforward like applying any normal US visa at nearest US Consulate / embassy. DS-160 form for L2 Visa : You need to fill out DS-160 form at State.gov Website . You will get a 10 digit bar code from your DS-160 confirmation page, you need to use that for booking appointment. Pay Fee and Book Interview Appointment : After completing DS-160 form, you will be required to pay visa fee ( currently USD 190$). You will get an application fee receipt number. You need that for booking appointment. Booking Visa Appointments : You need to use the application fee paid receipt number and 10 digit bar code number from your DS-160 confirmation page, and your passport number to book two appointments at your nearest US embassy. One for biometrics at Visa Application Center and one for visa interview at US Consulate/ Embassy. Fingerprints, Photo (Biometrics) Appointment : You would go to the visa application center nearest to the consulate and give your fingerprints and photo taken (biometrics) on the day before the visa interview. Check documents list below. L2 Visa Interview at US Consulate : Carry all the required documents ( see below for checklist) for visa stamping and attend visa interview at the US consulate, where you have scheduled appointment. 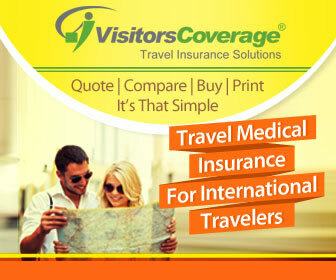 For additional details on the above four steps, you would have to select right region on website USTravelDocs.com to get more information with locations, etc. You need to carry the below documents to visa application centre to have your fingerprints and photo taken. It is critical to carry all the required documents for smooth visa stamping and to avoid 221g. Below is the full list of documents by type. Official Letter on company letter head from your Spouse’s L1 company regarding your relationship, purpose of travel. Copy of employment letter of L1 spouse. Copy of recent income tax returns ( if any) of L1 spouse. If your child is also part of the visa interview, you would need to carry their birth certificate, if they are under 14 years of age. While many of the companies know the process and format, sometimes, it may be new. Below is one of the sample Employer letters that was issued by a company. Check with your attorney and then modify it accordingly and change as needed. Do NOT use it as it is as it may vary by company formats. It is just to provide guidance. That’s about it. Did I miss anything ? Anything to add, based on your experience ?